Most people know Edith Bouvier Beale from the Maysles brothers' captivating 1975 documentary. Now, Bouvier Beale Jr. brings us even more from Little Edie by publishing her diary. Most people know Edith Bouvier Beale from the Maysles brothers' captivating 1975 documentary Grey Gardens, in which she and her mother bravely shared their lovably quirky daily life and unconventional values through a fascinating and complex relationship. Relatives of First Lady Jacqueline Kennedy Onassis, "Little Edie" and "Big Edie" continue to provide an inspiring story that has since been adapted into an HBO movie starring Drew Barrymore and Jessica Lange. Now, Bouvier Beale Jr., the first grandson of Big Edie and the eldest nephew of Little Edie, has teamed up with his wife of 30 years, Eva Marie Beale, to bring us even more from Little Edie: I Only Mark the Hours That Shine: Little Edie's Diary - 1929. What made you decide to publish I Only Mark the Hours That Shine: Little Edie's Diary - 1929? Bouvier Beale Jr.: It was my wife Eva who decided early on that we'd publish the diary. She asked me to read it to see if I had an opinion. At first, I wasn't enthusiastic, since I hadn't read the diary and couldn't imagine that an 11-year-old girl could write enough to keep my interest, so I didn't expect to enjoy it as much as I did. But immediately after I read it, I told Eva that she was right; the diary was amazing, and Little Edie had a talent for writing that could appeal to people of all ages. We both agreed that it would be a great tribute and a perfect way to celebrate Edie as an author. What inspired you to write the book's introduction? I felt that it was important to explain certain phrases that Edie used, so the reader could get a clearer picture of what this was all about. Edie never imagined that her diary would be published. At the end of it, she wrote, "As I have several pages left over I think it is only fair to the person that reads this book (if anyone ever does) to explain about the people I am writing about." Edie thought the only person who would read it was her mother, and now, there will hopefully be many more who will get to know Edie further through the book. What's your expectation of the publication? The diary really gives the reader a chance to know Little Edie better, and sets the stage for who she became later in life. The best part is that Little Edie wrote it herself, and she had a talent for writing, without a doubt. For Edie's sake, I hope this will become a bestseller, so that we can all honor Edith Beale as the author she once dreamed of being. I believe that every library should have this book. I can even imagine it in schools, as it could be a great inspiration to aspiring writers. As I noted earlier, it will appeal to young people and adults alike. Hopefully, all who have seen the documentary and the HBO movie will want to have a copy of this little treasure. How many written works did Little Edie leave behind? Do you have any plans to publish those? One of Little Edie's passions was poetry. Even as a young girl, she was known in the family as a poet. She was inspired by her grandfather John Vernou Bouvier, who wrote the most amazing letters and poems to her on a regular basis. Whether it was a birthday, Christmas, or another occasion, John Vernou was always writing poetry, and Edie learned from him. We've had plans for a long time to publish these letters too, and we will. The recently published diary is the first, and we are so pleased to finally celebrate Edie as an author. She wrote in her journal of 1929, "This belongs to Edith Beale, the celebrated poet, author and artist." What was the most difficult part of working with Little Edie's diary? Eva Marie Beale: When I first read it, I couldn't read every word, and it was difficult to transcribe. So I read what I could and loved it, and knew that I had a project ahead of me. I started using Edie's magnifying glass that she actually used in Grey Gardens, and I found it to be very useful in making out the words I had difficulty with. What part of the book surprised you the most? When Little Edie writes about the birth of a cousin. Her uncle called to say a new baby girl was born to Jack and Janet. I researched the date and saw that it was the birth of Jacqueline Bouvier, and that was exciting. Who'd think that the birth of a First Lady would be documented by an 11-year-old-girl? What is your favorite part of I Only Mark the Hours That Shine? On Thursday, July 18, 1929, Little Edie wrote: "Most children think that 'Mother Love' is a thing taken for granted. It isn't -- it's love alright but a different kind of love. I have two great loves in my life: first the love for my Mother, which will always go on -- never forgotten or forsaken. Second: my burning love for a boy which is no crush but a true steady love, as much as my M.L. (Mother Love). These are my ideas. If anyone ever gets a hold of this page -- I beg them to be merciful which I hope the traitor will be." This quote made me think of Little Edie's relationship with her mother in Grey Gardens. Her M.L. (Mother Love) was so strong, even as a young girl. And she was right; never forgotten, never forsaken. How did you get the idea for Grey Gardens Collections? 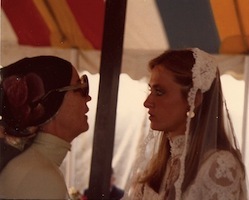 As I was working on the first book, Edith Bouvier Beale of Grey Gardens: A Life in Pictures, I went through all of Edie's material. When I looked at her handwritten "Grey Gardens," I had a vision that it would be a great logo for a brand, and it could be a way to keep the legacy of Little Edie alive for years to come. I thought about Coco Chanel, Hermes, Ralph Lauren, and other lines that have been around for years, and I began to see that Grey Gardens Collections would be inspired by the life of Edith Bouvier Beale. I enjoyed going back in time to the era when Edie was young: the late 1920s and the Art Deco period. I wanted to bring it back with jewelry, fashion, home decor, and more, so that's how it began. Describe some of the pieces from Grey Gardens Collections. I started with jewelry and fabric that are pieces designed and inspired by the life of Little Edie. For example, there's Little Edie's brooch that she wore in the documentary. Since I had Edie's original, I had it designed from that, so the two are almost identical. I also created a sterling silver cuff, "Edie's Cuff," that was designed from one of hers. There's also fabric called "Grey Gardens Antique Hydrangea." Vintage items are also part of the collection, and I select pieces from the same period, or ones that resemble Edie's style. I'm also currently working on a china pattern and a fragrance. How do you think Little Edie would have responded to the collection? Edie would have loved it; she would have been a great fashion designer. As a young girl, she was always talking about fashion. She talks about it in her diary. What is the future of Grey Gardens Collections? Grey Gardens Collections is currently only online, but we have plans to expand and open stores. The first two years we concentrated on book projects and jewelry, and now, we're just releasing the first fabric line. There will also be wedding attire, dresses, wallpaper, and accessories, including the jewelry and scarves. I know my future plans for a full-scale line will come to fruition one day, since I remember reading about Ralph Lauren starting out by selling a few ties from his car! So it's possible to start small and dream big. Grey Gardens Collections will carry the legacy of Edith Bouvier Beale. What's your fondest memory of Little Edie? I first met her at our wedding in 1980. She stood behind me and Bouvier and shouted to the band, "Stop the music!" She then sang a song to us for our wedding gift, "Toujours l'amour," and we will never forget it. She loved our story, because my husband and I met on a blind date. I found a note of hers where she wrote: "Bouvier and Eva met on a blind date -- it was love at first sight." She was a romantic. What is it about Little Edie's style that has endured? Most knew her from the documentary film, where she was very creative with her "costume of the day." But we knew her on a more personal level from family events. She always looked very chic, and wore high-quality designer clothing. She'd mix current and older fashion, and knew how to make it work. I remember seeing a picture of her as a young woman where she's wearing a beautiful paisley dress. Years later, she wore the same dress, but altered it as a smock in order to fit her figure at the time. She still looked great! 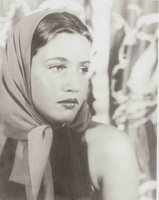 Accessories like scarves were a also a big part of her wardrobe. Her style was consistent. What about Little Edie appeals most to people today? Her free spirit and unusual, infectious personality. She was genuine, and had a great way about her, which is why so many adore her today. 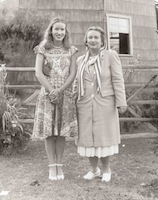 Her love for her mother was also a reason many became so connected to Grey Gardens. Edie was confident, bright, and always knew the right thing to say. There was only one Edith Bouvier Beale, and that's what people really love about her. I Only Mark the Hours that Shine: Little Edie's Diary - 1929 (edited by Eva Marie Beale with an introduction by Bouvier Beale, Jr.) is available exclusively through Grey Gardens Collections for $31.95, plus shipping and handling. All photos courtesy of Grey Gardens Collections.